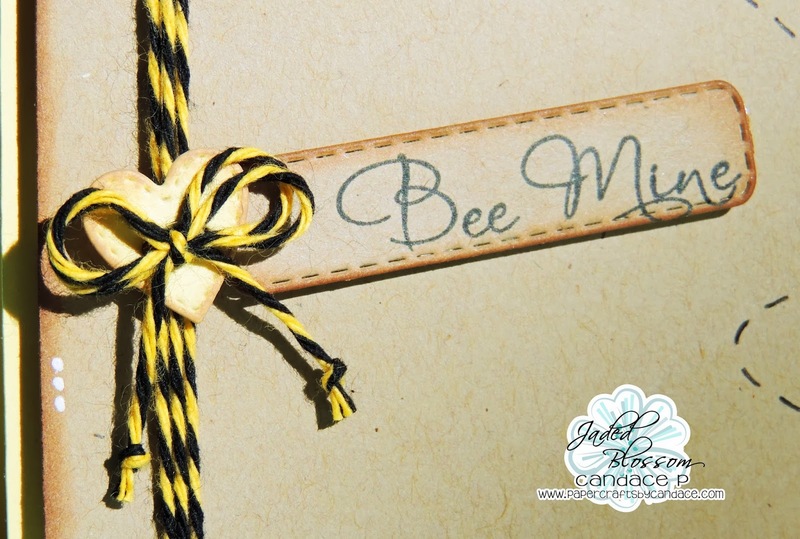 Paper Crafts by Candace: Bee Mine! Happy Tuesday! Today I'm bringing you a clean and simple (CAS) card! 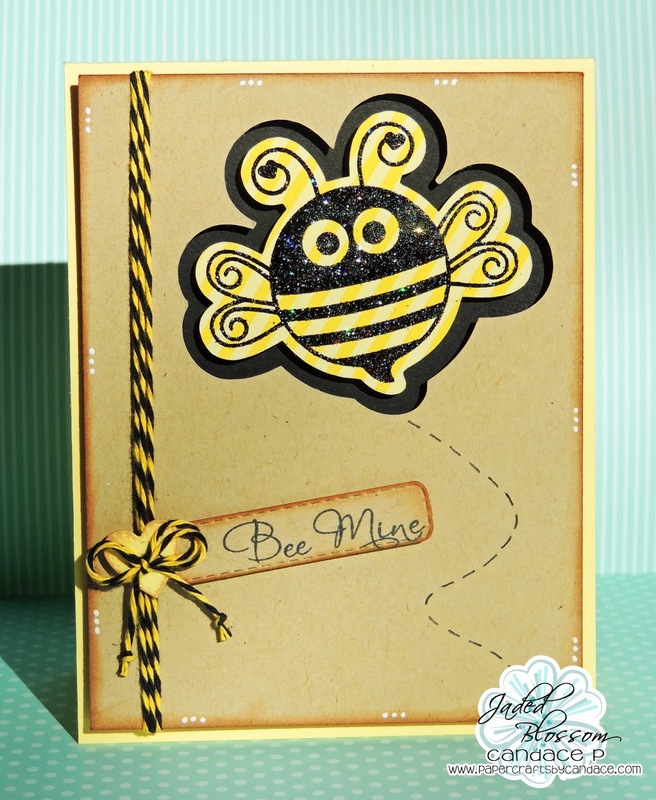 For this card I used Jaded Blossoms "Love Stings" stamp set. I used the SVG outlines from Jaded Blossom as well to cut out the bee and create the shadow. I embossed the Bee in black glitter embossing powder, here is a close up so you can see all the glitter! You can also see that I pop dotted the Bee and the Kraft part of the card. I stamped the sentiment on the Mini Tag Dies and I also added a yellow heart cut out using Jaded Blossom's Valentine Dies. Thanks for checking out my card today!! Great design on you card. 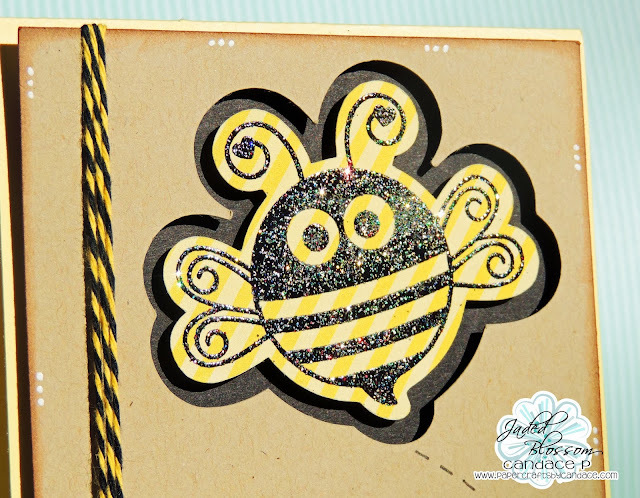 Love the embossing on the bee. Love this card!! Sooo cute! What a cute card!! Actually, it's BEE-utiful!! LOVE LOVE LOVE this card! Love how you did the cut out of it!!! Super cute card:) I love the glittery bee and the fun twine!! I love this! That bee is awesome!